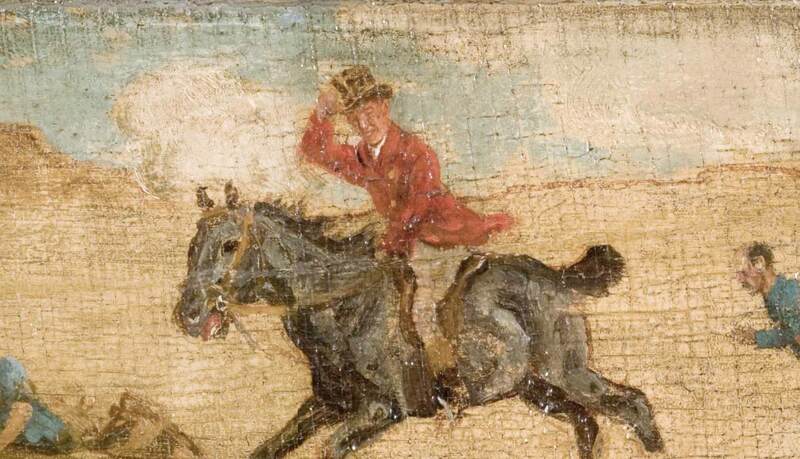 Near the center of The Fox Chase, the Canadian artist Arthur Heming is shown riding a horse dressed in a red hunting coat and sporting a black top hat. 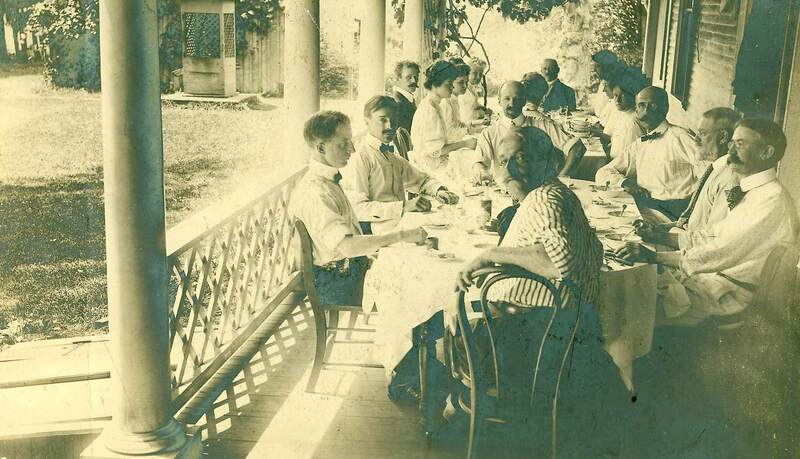 Known as both a painter and writer, it is Heming’s manuscript, Miss Florence and the Artists of Old Lyme, which has proven vital in the Museum’s understanding of the day-to-day activities of the Griswold boardinghouse during the years around 1910. Heming thought that he was color blind most of his life. His panel for the dining room was painted in black and white. 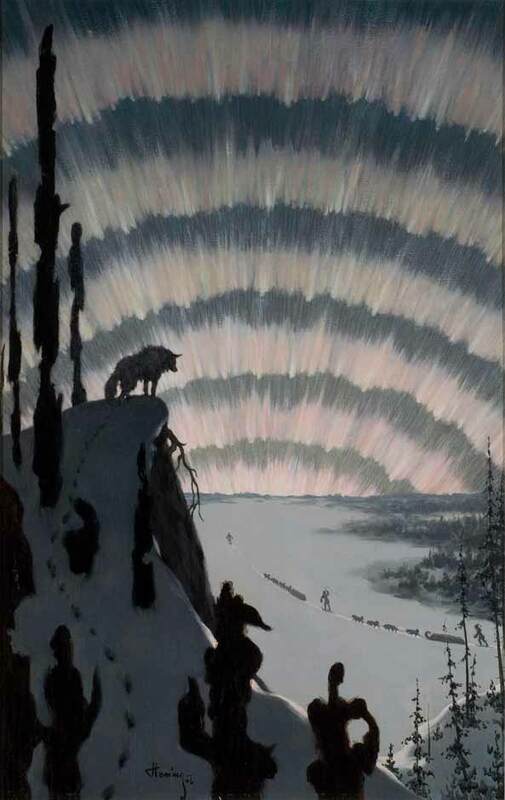 Heming spent much of his youth in the wilderness of Canada. Heming was also a writer and completed two narratives about the Lyme Art Colony: Miss Florence and the Artists of Old Lyme and The Lions in the Lady’s Den. Indeed, upon hearing of her death in 1937, Heming sat down and wrote his account of what he remembered about the Lyme Art Colony. He died three years later and his unpublished manuscript was packed in a box of old papers. It was found years later and published in the early 1970s. Heming does not include much detail about himself in his narrative about the Lyme Art Colony. The non-fictional Heming chose art at an early age and by 16 was appointed the assistant art instructor at the school where he studied. By 1899, Heming traveled to New York and studied at the Art Students League with Frank Vincent DuMond, the artist who would bring other students to Old Lyme to paint during the summer, and it was most likely he who introduced Heming to Old Lyme. 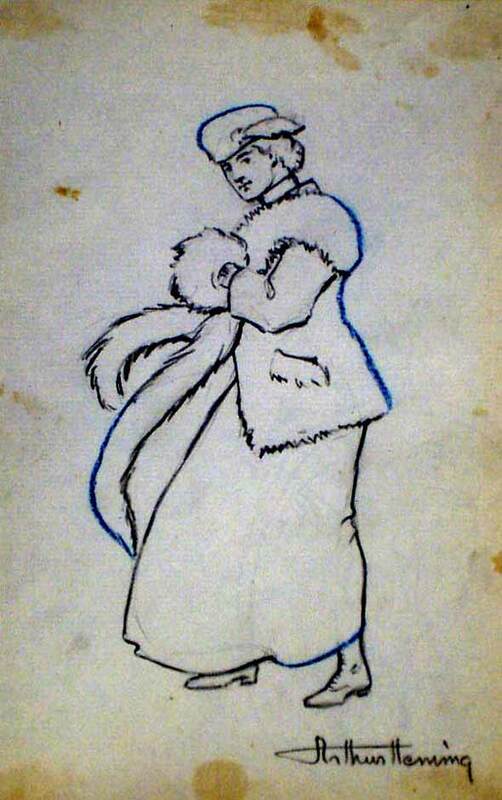 Heming also studied in London in 1904. 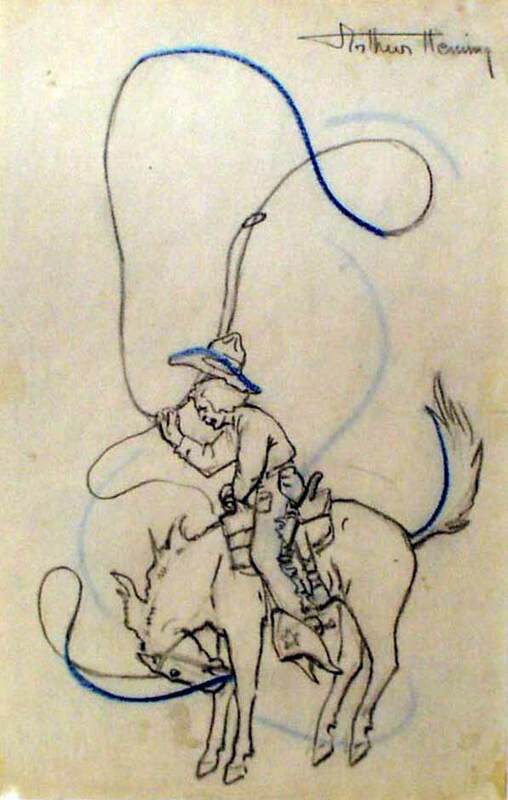 During his art studies, a colleague convinced Heming that he was partially colorblind. 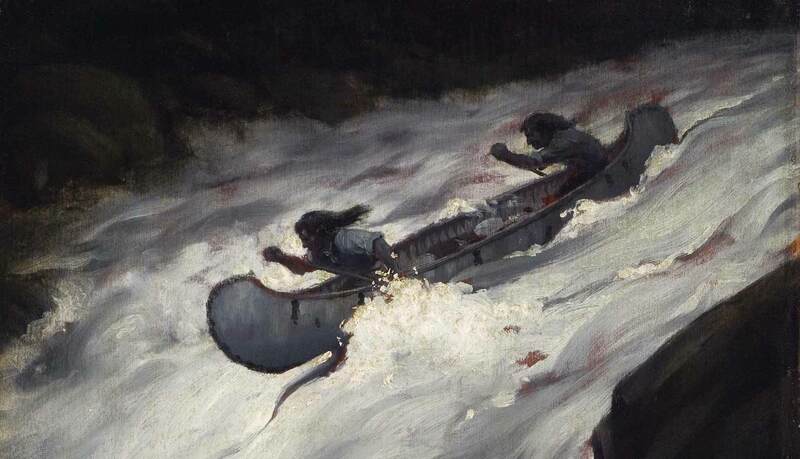 In order to avoid artistic mistakes, Heming worked for years in only black, white, and yellow. 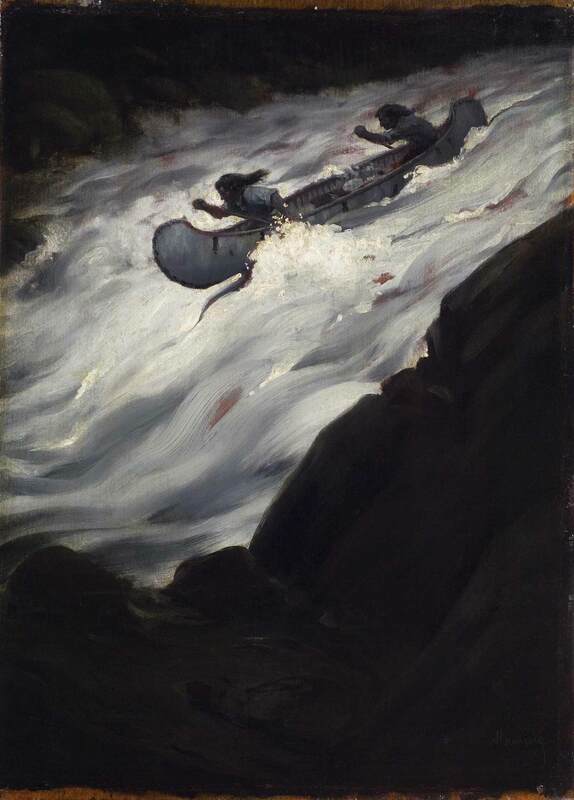 Indeed, for his panel in the Griswold dining room, Shooting the Rapids (1906), Heming painted a black and white composition of a two woodsmen battling raging rapids in a birch bark canoe. 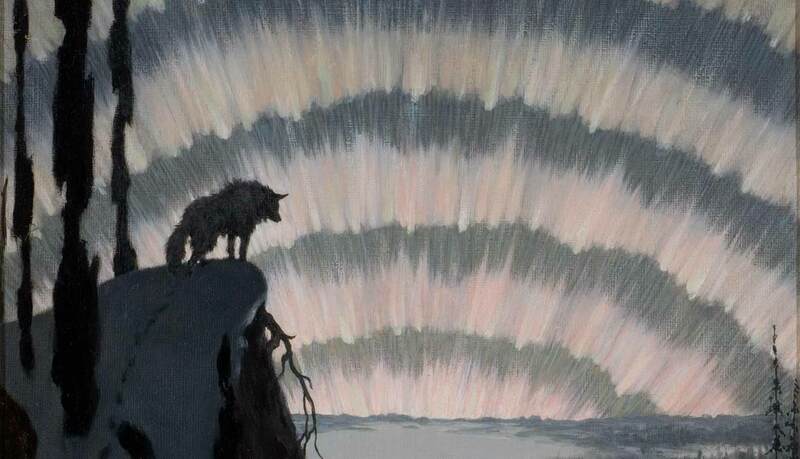 However, by age 60, Heming discovered that he was not color blind, and spent the last decade of his life painting colorful compositions for which he received great acclaim. By 1910, Heming is living in Toronto, Canada, but he also lists Old Lyme as an address.